This exhibition is held in conjunction with Days of Remembrance, a national event conceived to mark the memory of the six million Jews and five million other victims of the Holocaust. 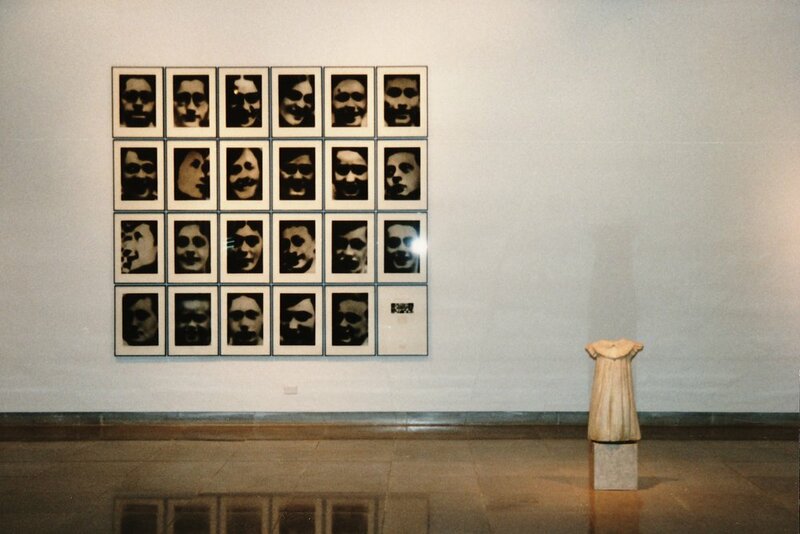 In this selection of works by well-known contemporary artists, only Christian Boltanski addresses the Holocaust directly. Seen together, however, the works in the exhibition combine to create a meditation on life and death. 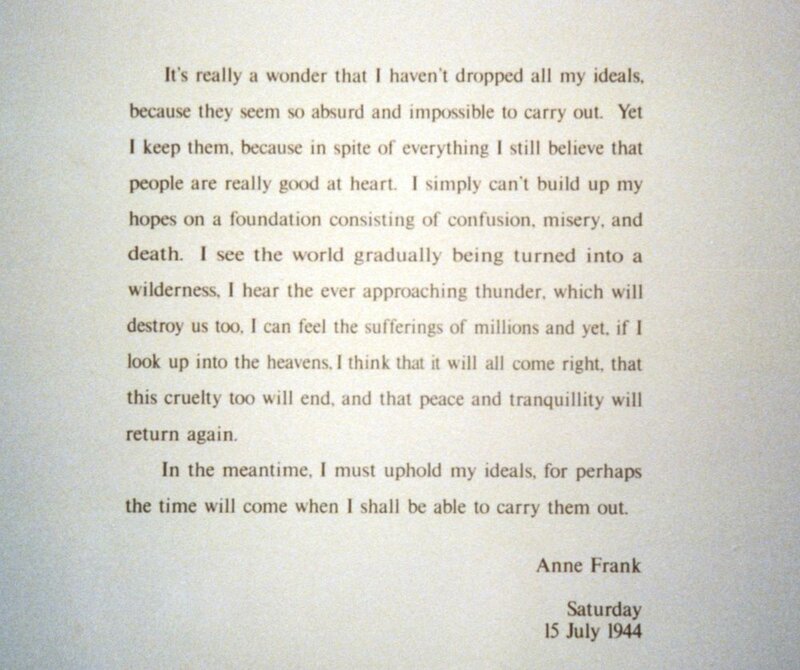 In 1995, Days of Remembrance coincided with the fiftieth anniversary of the death of Anne Frank, whose private diary of her family’s life in hiding from June 12, 1942 to August 1, 1944 was published in 1947 and has been read by tens of millions of people all over the world. To commemorate the anniversary, the Definitive Edition of Anne’s diary was published for the first time in English. It includes thirty percent more material than the original edition and reveals Anne to be more human than ever. 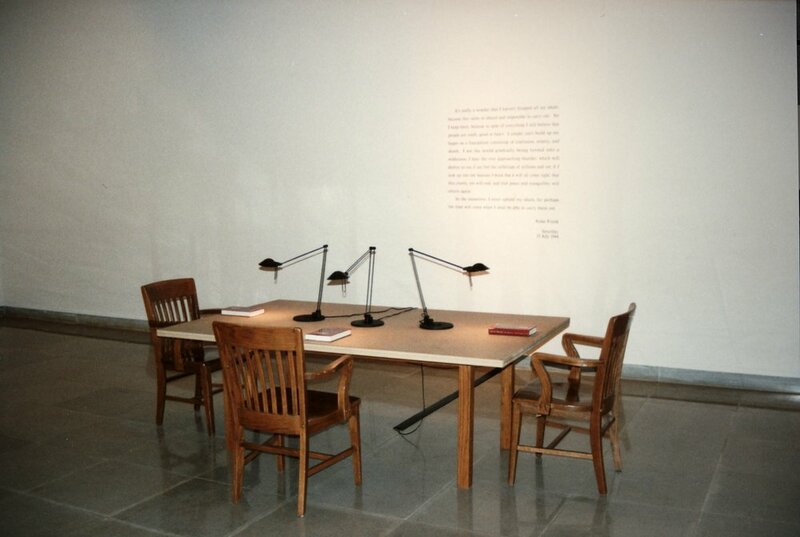 Copies of the Definitive Edition are on the reading table in the main gallery, and visitors are invited to sit and read. On view in the small gallery is a continuously running video program that includes works by four artists who examine personal history, memory and the construction of identity, and the chilling effects of neo-conservativism in France and the United States today. Included are Amnesia by Beth B, Damaged Visions by Shalom Gorewitz, As If Memories Could Deceive Me by Marcel Odenbach, and Say I’m a Jew by Pier Marton. Rice University Art Gallery would like to thank the LeWitt Family Collection, Connecticut, for its loan of all works in the main gallery.